Dawson was a lonely stray looking for love on a farm located just outside Regina. The objects of his affection were four young female cats about to be spayed and the farm family wasn't about to have Dawson upset the balance! 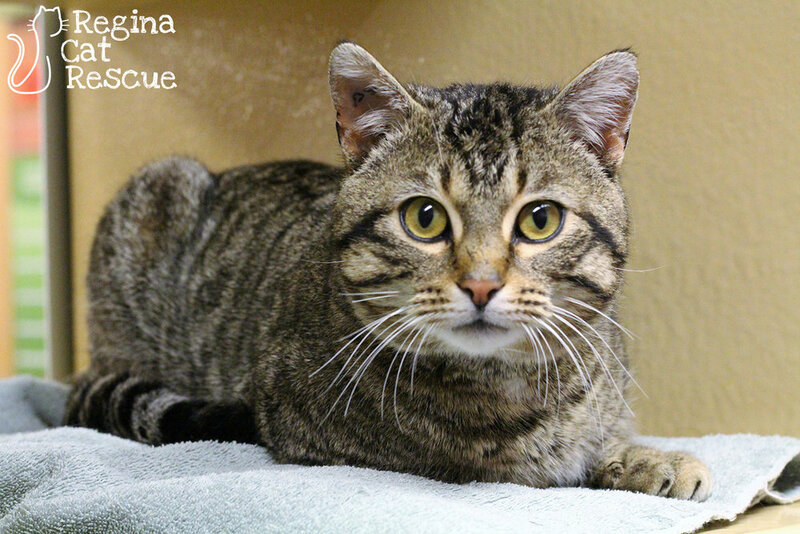 However, they felt for the poor guy and reached out to Regina Cat Rescue for help to get him a home. Dawson is a gentle giant who’s not cut out for the stray life. His bad experiences as a stray have left him a bit shy, but he's very sweet and affectionate once he gets to know you. This beautiful tabby boy is happy to be safe, warm and well fed and he's always happy to soak up some attention. 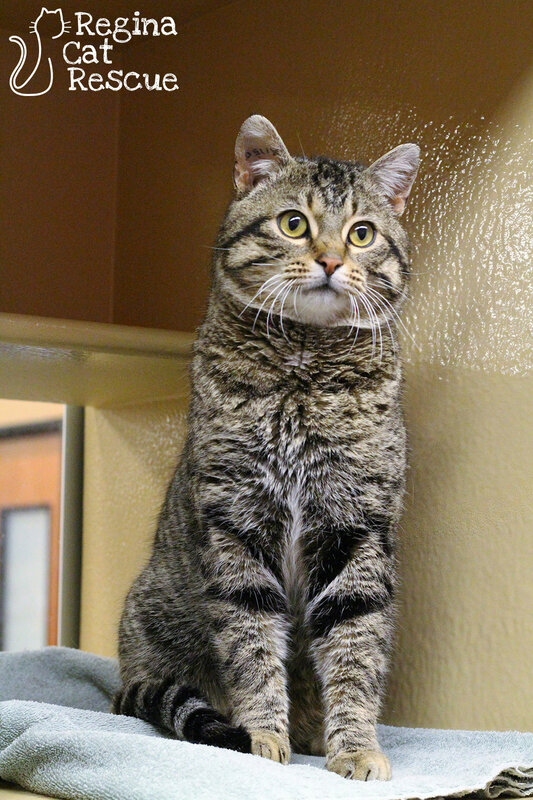 If you are looking for a quiet, well-behaved BFF ( best feline friend), Dawson might be the one for you. If you are interested in Dawson, click here to view our adoption contract and click here to complete an adoption application or email the RCR Adoption Coordinator at adoptions@reginacatrescue.com for more info.